Impakt is calling for curatorial proposals for the Impakt Festival in 2016 and 2017. The Impakt Festival is the annual culmination of Impakt’s activities as an organisation that focuses on critical media culture: a five-day, multi-media festival with conferences, talks, performances, screenings, exhibitions and presentations. Founded in 1988, the Impakt Festival takes place every autumn in the city of Utrecht (NL). Curatorial proposals can be submitted by curators individually or collectively and should revolve around a single, main theme. There are two options for this call. One: curators may propose a programme revolving around the theme The Democratic Dilemma, as outlined below. Or, two: curators may propose a new theme that deals with urgent questions and shifting paradigms in transglobal society, technology and the visual arts seen through media culture’s lens. What exactly is democracy nowadays? In our times of global political turmoil, traditional politics are increasingly critiqued while digital technologies offer new tools of expression and organisation. The Impakt Festival will function as a platform to explore and discuss democracy’s current and near-future issues. Is democracy the best possible political system? How can new technologies make democracy more transparent and improve the involvement and representation of citizens? How should a democracy deal with the rights of minorities and those who oppose democracy? Given the ever-growing influence of the media, the question of who owns and controls the media is paramount to the quality of a democratic system. Social media, digital technologies and Internet culture offer new platforms, alongside the traditional mass media and they have given a voice and the tools to more interest groups and individuals than ever. In recent years, traditional political systems all over the world have been challenged by civilian action movements, mass protests and the intelligent use of social media and digital technologies. What effect did these movements have and how can we maintain this momentum? Is democracy an absolute concept or should we accept a variety of democracies based on social, cultural, religious and historical factors? What are the motivations behind the efforts to democratise a country? To what extent are hidden agendas or double standards at play? With autocratic leaders, global economic interests and independent media under pressure, it’s hard to tell who pulls the strings. 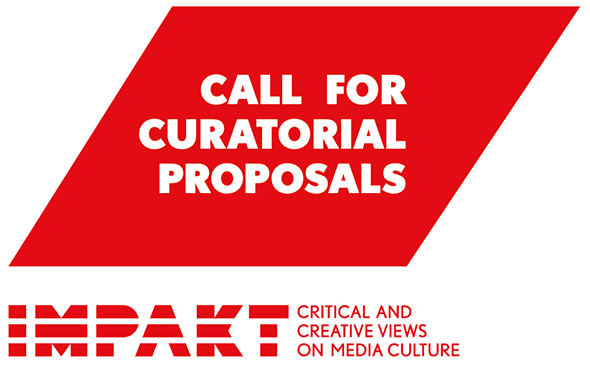 Impakt strongly calls for proposals that display an affinity with media culture, an interdisciplinary approach and a wide spectrum of views—avoiding an all-too-singular stance on the politics of the issues raised. The nature of proposed programmes and subjects can range from cultural archives, speculative futurist ideas, popular culture, new ideas about our digital landscape, to the Internet, off stream culture in visual arts, technology and thought-provoking academics. Past Impakt Festival themes have included: Your Space (2008), Accelerated Living (2009), Matrix City (2010), The Right To Know (2011), No More Westerns (2012), Capitalism Catch-22 (2013), and Soft Machines (2014). The 2015 Impakt Festival will take place from 28 October to 1 November 2015 and will be called A World Well Documented – The Future of History. The festival will explore concepts of memory, the sense of presence and history. How will our perception of the past change now that digital technologies allow us to keep perfect accounts of it? Read more on our website.